With the rise of online marketing and selling platforms, many people want to sell online. But what the popular platforms do not tell you is the commission that they charge per sale or even worse, the price of listing a product on their site, whether you manage sell it or not. While the world is becoming a smaller market, it is a market that you as a user have no say in. This is why, we need sites like OB1 or Open Bazaar! 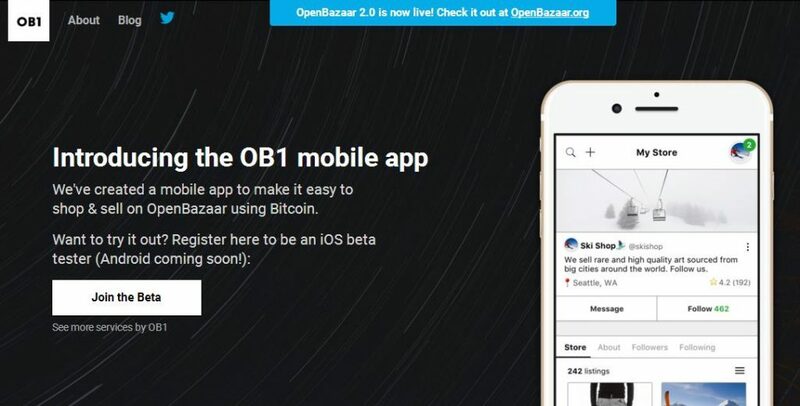 Yes, Open Bazaar is a completely free to use online market place. Unbelievable as it may sound, this market place lets you buy and sell without charging you a penny, not even for listing your items. You can customize your shop, the way you want and even chat with your potential customers, without having to part with your bank details or going through a middleman. Open Bazaar works on a Peer to Peer platform, so data on the site is owned by you, the store owner. What’s more, is that Open Bazaar supports all kinds of cryptocurrencies too!